Here's my list of the best books I read in 2012. No rereads & I've cheated a little by including two series & lumping two books by the one author together. There is no order to the list & it's a mixture of Fiction & Non Fiction. Follow the links to my reviews. 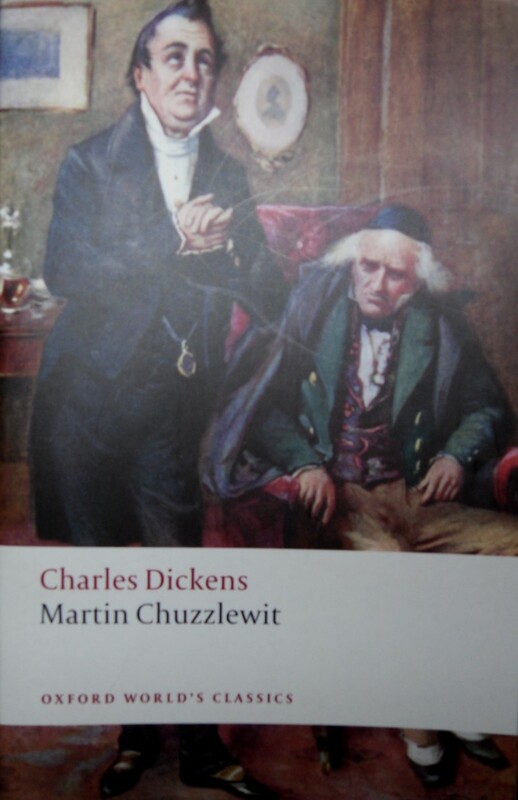 In the year of the Bicentenary of the birth of Charles Dickens, it was inevitable that I would read something by the great man. 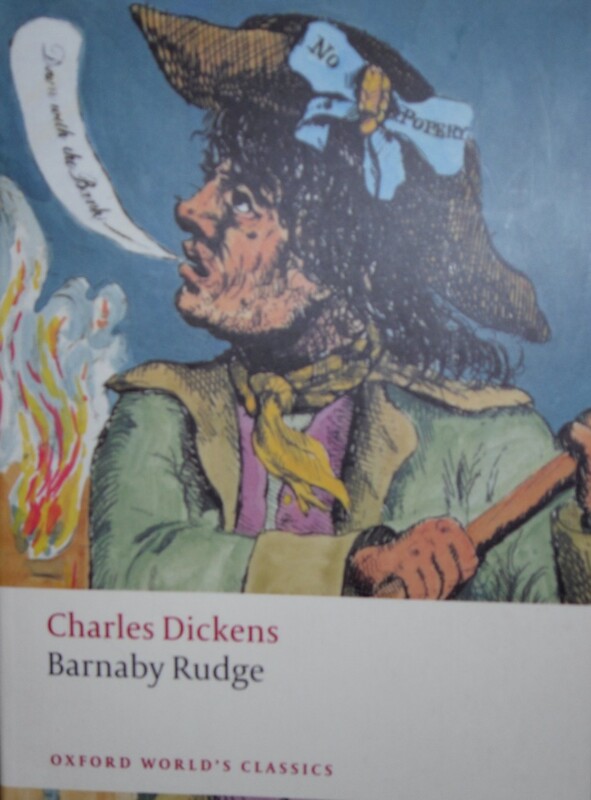 I read the last two of his novels that I had never read before, Barnaby Rudge & Martin Chuzzlewit. 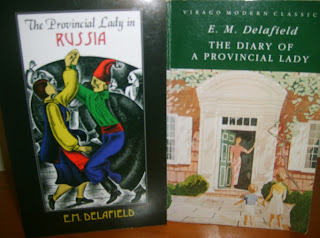 Put off by the stodgy names & reputation for unreadability, I was surprised at how much I loved both books. Knowing very little about the plots was also an advantage. I was eager to find out what happened to everyone. I also reread Great Expectations, The Mystery of Edwin Drood & A Christmas Carol. 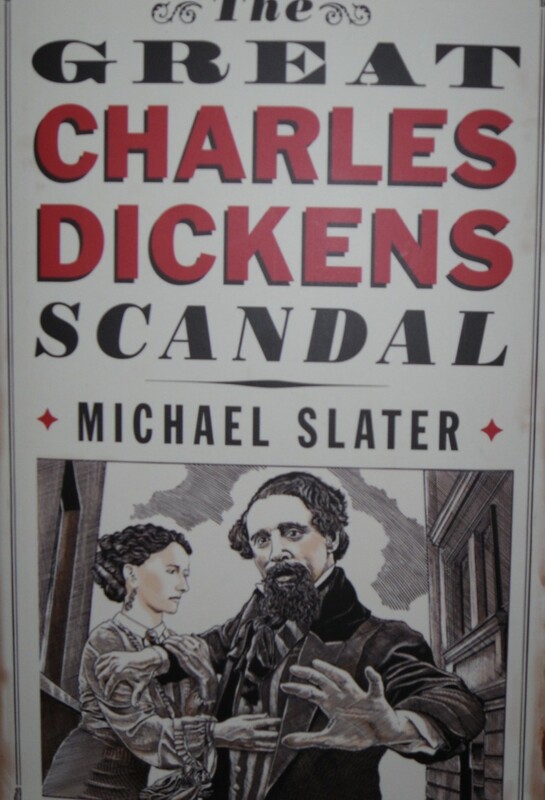 Staying with Dickens, Michael Slater's The Great Charles Dickens Scandal was much-anticipated & didn't disappoint. 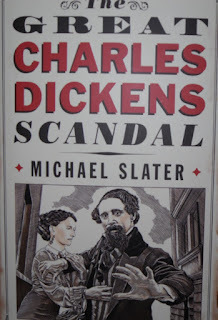 A drily witty, succinct account of the lengths that Dickens went to to hide his relationship with Nelly Ternan & the efforts everyone else has gone to ever since to find out what really happened. 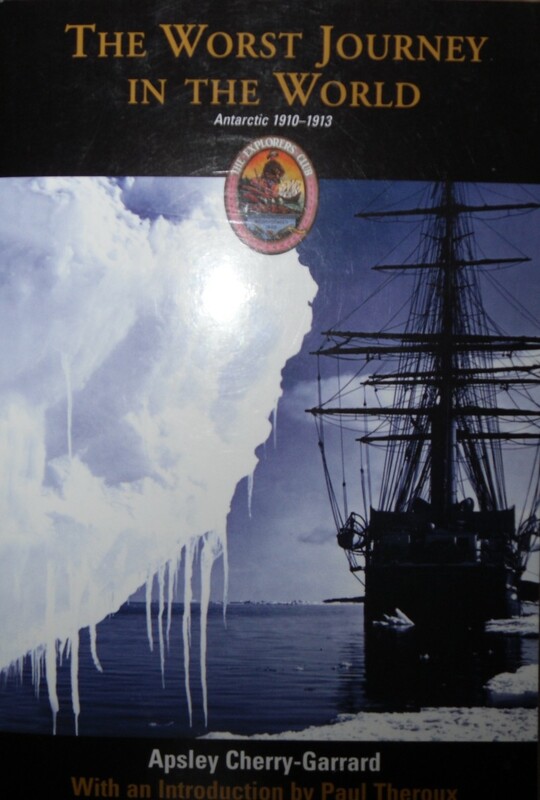 The Worst Journey in the World by Apsley Cherry-Garrard was the most harrowing book I've ever read. 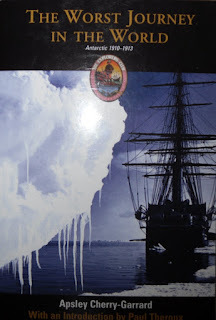 The story of Scott's last expedition to find the South Pole, this is a beautifully-written account of hardship & determination by one who was there. 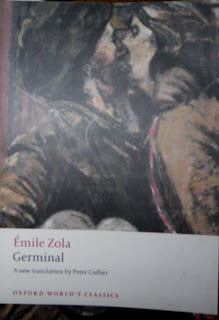 Almost as harrowing was Germinal by Emile Zola. Like all Zola's novels, this is an absorbing journey into the lives of the working people of 19th century France. The scenes in the mines are unforgettable & chilling in their horror. I'm including a couple of series in my Top 10 because I can't choose just one book & I read them as a whole so it's easier to just nominate all of them. 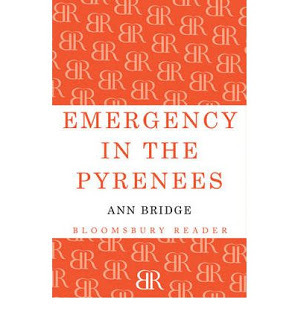 Bloomsbury have re-released many of Ann Bridge's novels as POD paperbacks & e-books. I loved the Julia Probyn series which I started last year & finished reading in August with Julia in Ireland. Julia is a female James Bond - beautiful, intelligent, well-connected & resourceful. I loved her adventures, set in exotic locations in Europe such as Emergency in the Pyrenees. 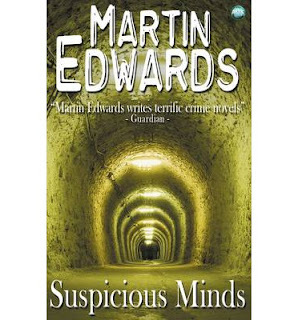 Martin Edwards has also benefited from the e-book revolution. After being out of print for some years, his Harry Devlin series is now available in paperback or as e-books. I've read the first two books, All the Lonely People & Suspicious Minds, & I have the third downloaded & ready to go. Harry is a lawyer in 1990s Liverpool & the atmosphere of the city & Harry's dogged pursuit of justice make the series compelling reading. Harry's adventures will keep me happy while I wait for the next Lake District mystery, The Frozen Shroud, to be published next year. 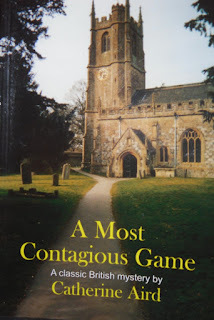 Catherine Aird's standalone novel, A Most Contagious Game, was a delight with its echoes of Josephine Tey's The Daughter of Time. I loved the way that research was still done in libraries & newspaper archives (it was first published in 1967) & the historical aspect to the modern-day mystery was fascinating. More history in Linda Gillard's The Glass Guardian. The legacy of WWI combined with a romantic ghost story set in wintry modern-day Skye was the most all-consuming reading experience I had this year. I read it virtually in one sitting, just wonderful. 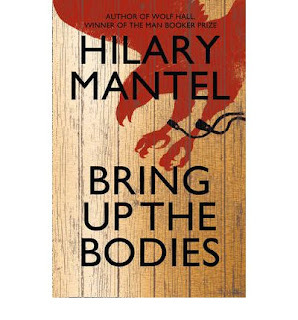 I read very little historical fiction these days but Hilary Mantel is the exception. Bring Up The Bodies continues the story of Thomas Cromwell begun in Wolf Hall & brilliantly retells the story of the fall of Anne Boleyn. We all know how the story ends but this novel read like a thriller. An amazing achievement. 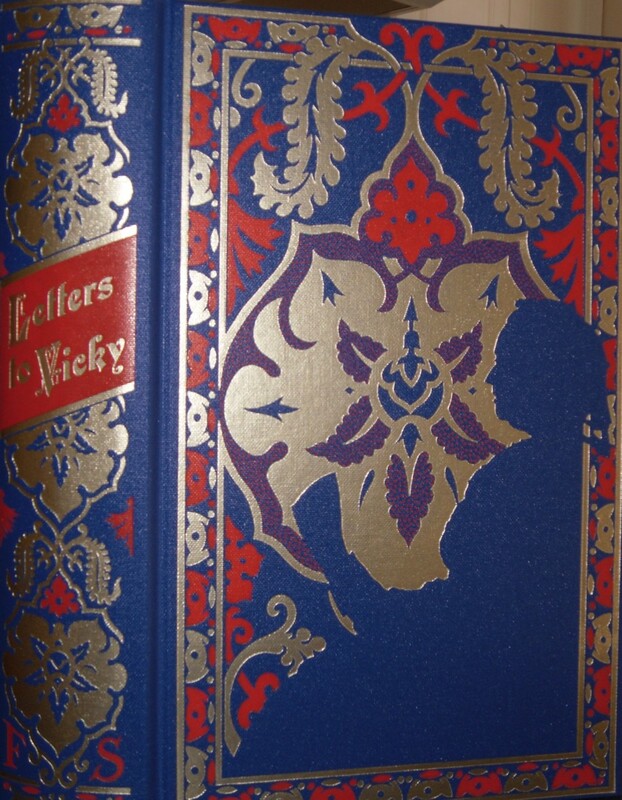 Queen Victoria's Letters to her daughter Vicky, Empress of Germany are touching, opinionated, gossipy & compelling. Vicky left England when she was only 17 & the letters selected here cover history, politics & family matters. 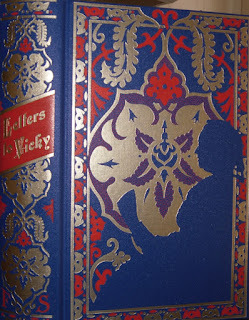 The Folio Society edition is also beautifully produced with some gorgeous plates as well. Well, that's it for 2012. I'm looking forward to plenty of good reading in 2013 & will be back in a couple of days with some thoughts about reading plans for the year. Happy New Year! 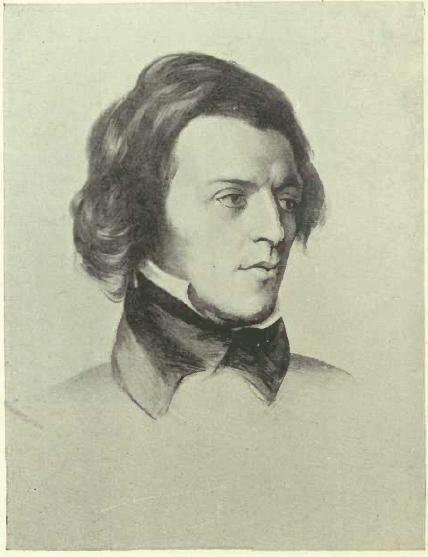 I've been thinking about Tennyson (picture from here) lately. He's not a poet I've read much of but he's always been there in the background of my reading. In the wonderful photographs of Julia Margaret Cameron, in the paintings of the Pre-Raphaelites that took his poetry for inspiration & in the reminiscences of the great & good of Victorian England. A couple of weeks ago, I read an interesting review of a new biography of Tennyson &, of course, it mentioned In Memoriam, his most famous work, written in response to the death of his great friend, Arthur Hallam. It sent me off to the bookshelves to look up the poem & while I was reading bits & pieces of it, I came across this lovely poem, so appropriate for the New Year. ... the fictional history of Peter Wimsey has become emblematic of its time. Unlike practically any of the other famous fictional detectives, Lord Peter Wimsey's career was fully defined by a single epoch. He came to life as the long week-end began in the wake of the Great War; he disappeared as World War II sealed the week-end's close. The subtitle of this book is England, Dorothy L Sayers & Lord Peter Wimsey. The authors have combined literary criticism & social history to place Peter Wimsey & Dorothy L Sayers in the England of the interwar period. As Sayers is my favourite Golden Age detective novelist, this book was always going to appeal to me. It was written in 2000 & I'm almost sure I read it back then. However, seeing it in a recommended list of e-books on Amazon was enough to inspire me to download it & read it again over the last few days. McGregor & Lewis have looked at the life of Dorothy L Sayers & tell the story of how she came to write the Wimsey books. At first, she wrote them for the money. She was an avid reader of detective stories & thrillers & throughout the series she makes some quite pointed comments about other writers. She was also unhappy in her personal life with several frustrating & unfulfilling relationships & the birth of her illegitimate son, John Anthony. She kept her son's existence a secret from almost everyone & especially her parents. She worked as a teacher &, more famously, at Benson's advertising agency, until the success of the Wimsey novels enabled her to concentrate on her writing. The other focus of the book is the political & social history of the period between the wars. 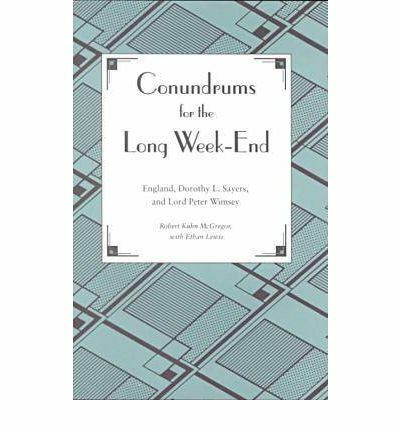 Famously called The Long Week-end by Robert Graves & Alan Hodge in their book of this name, McGregor & Lewis trace the preoccupations of Sayers & her world in the themes & settings of the novels. Each chapter begins with an overview of the political & social situation in England & Europe & then the discussion moves on to Sayers's life & the novels she was working on. This certainly focuses the reader on the topicality of many of the plots & social settings of the books, especially the far-reaching impact of the Great War on England. Peter Wimsey suffered from shell-shock & the after-effects of this are evident in the early books of the series. The Unpleasantness at the Bellona Club begins on Armistice Day & features several characters who have been damaged by their war service. Have His Carcase is set at Wilvercombe, a watering place where middle-aged women fall in love with gigolos & the agricultural slump leads to the commission of a horrible murder. 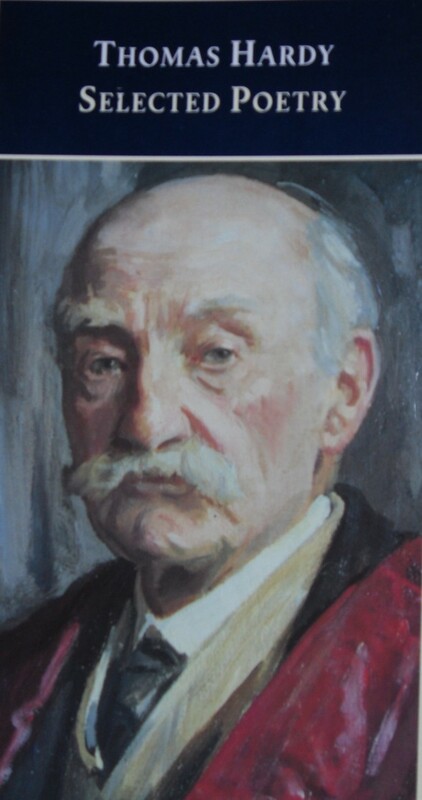 Sayers had an intellectual interest in the writing of detective fiction & wrote Introductions to several collections of stories by the best-known authors in the genre. She especially acknowledged the influence of Wilkie Collins & Sheridan LeFanu, the 19th century writers who paved the way for Conan Doyle, Edgar Wallace & the Golden Age writers. As a graduate of Oxford, Sayers was also interested in the role of women in society & her creation of Harriet Vane, detective novelist, accused murderer & the woman Peter Wimsey wants to marry, allows her to explore this theme. Through Harriet, Sayers is able to discuss the writing of detective fiction as well as provide a compelling portrait of a professional woman. My favourite novel in the series, Gaudy Night, is the least conventional as a detective novel. Set mainly in a women's college at Oxford, Harriet takes centre stage as she tries to discover the identity of a malicious poison pen. Discussions about the place of women in society & the importance of the intellectual life are just as important as the detection. The final book about Peter & Harriet, Busman's Honeymoon, started life as a play &, apart from the beginning of a novel, Thrones, Dominations (later finished by Jill Paton Walsh in 1998) & a few short stories written during WWII, that was the end of the story. McGregor & Lewis examine the reasons behind Sayers's decision to abandon this unfinished novel. Apart from having finally married off her two leading characters, Sayers was writing Thrones, Dominations during the period of the death of George V & the Abdication crisis of 1936. Suddenly the theme of marriage was just a little too delicate. Sayers was also becoming interested in other work, including her plays on religious themes & so the novel was put aside & never resumed. Conundrums for the Long Week-end is a book for Wimsey fans who have read all the books as the plots are fully discussed & the murderers are named. You have been warned! I enjoyed it because of the way that the authors tied together the wider social history of the period with Sayers's life & the progress of her creation of two of the most intriguing characters in detective fiction. Merry Christmas to everyone who visits I Prefer Reading. Thank you for dropping by & leaving comments. I'll be thinking about my Books of the Year over the next few days, posting my lists & enjoying reading everyone else's. I'll also have another list of the books I didn't quite get to in 2012. I'll probably also make my usual New Year's Resolution to stop buying books for a while & read the hundreds I already have. I hope you all have a lovely, peaceful day. After lunch with my family, Lucky, Phoebe & I will be settling down to watch Scrooge with Alistair Sim or maybe A Christmas Carol with Michael Hordern or Patrick Stewart or George C Scott... It's not an easy decision to make. I failed to get a photo of the girls lolling around the Christmas tree so here's my favourite pictures of them both (separately, of course) as they wish you all a Merry Christmas. 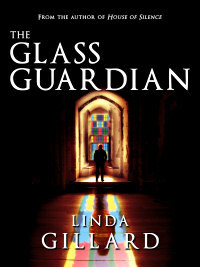 One of my Favourite Books of 2012, Linda Gillard's The Glass Guardian, is now available in paperback from Amazon. I loved Linda's book & I'm very excited to be quoted on the back cover of the paperback. The Glass Guardian is available for £7.99 from Amazon UK & $10.99 from Amazon US so everyone who was tempted by the many positive reviews but didn't have an e-reader can now buy themselves the perfect New Year's present. The Glass Guardian is a very difficult book to review. It's almost impossible to review it without spoilers. The author herself admits this so I'm not just trying to avoid writing a review! I could just say "I loved it, trust me, it's unputdownable." but that would make for a very short post. I think I summarised the book pretty well in my teaser on Monday, the story is about love, loss, grief, music, WWI, Skye, family secrets, loneliness & a ghost who will break your heart. Ruth has suffered more grief in a very short time than anyone should have to bear. She's lost her lover, her father & her aunt. Her Aunt Janet's death has hit her hard. Janet virtually brought Ruth up after her mother's death & the time she spent at Janet's house, Tigh na Linne, on Skye, represents Ruth's happiest memories. Ruth inherits the house & travels to Skye to decide what to do with her life. Her career as a television gardener has come to an end. Maybe Skye represents a new beginning? Ruth begins working on the garden & looking through Janet's archive. She was a well-known composer & a Canadian musicologist, Athelstan Blake, wants to write her biography. Ruth's discoveries cause some concern. The manuscript of Janet's most famous work, In Memoriam, based on a poem by Andrew Marvell, is in three different hands. In Memoriam is very different from Janet's work before & after. Could she have appropriated someone else's work? Ruth also finds a childhood friend still living on Skye. Tom & his mother had spent summer holidays in a rented house near Tigh na Linne & now, after his mother's death, Tom has returned, working as a general gardener & handyman. Ruth feels an immediate attraction to Tom & as he begins to help her get the house ready for a possible sale, Ruth begins to realise that a childhood friendship may not necessarily be the best basis for a relationship with a man she doesn't really know. Ruth gradually realises that she's not alone at Tigh na Linne. The house is haunted & the ghost is not entirely a stranger to her. As winter envelops the house & Ruth's loneliness & confusion increase, it becomes apparent that her future is intimately entwined with her family's past & her passion for a man who died one hundred years ago. Atmosphere is so very important in any supernatural story. 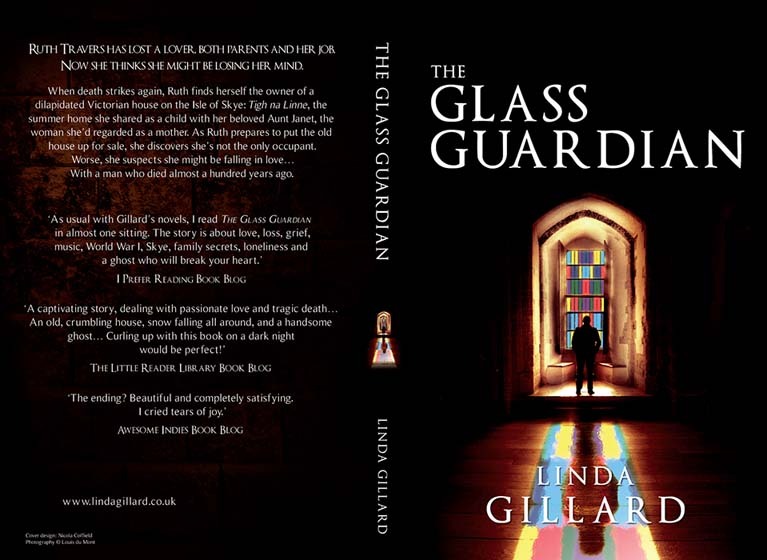 Linda Gillard has created a completely believable world in The Glass Guardian that spans the real & the unreal, the past & the present. The best ghost stories take place in winter, illuminated by cosy fires & flickering candlelight. Skye is the perfect setting, the bare wintry landscape mirroring Ruth's despair & grief when she first arrives at Tigh na Linne. Ruth is a vulnerable & very believable character. She has few warm memories & all of them are bound up with Skye & her Aunt Janet. Her determination to discover all she can about Janet's life & the earlier family history is a fascinating part of the story. I can't say too much about the romantic hero of the book as it would spoil the story. I'll just say that if you've loved the heroes of Linda's earlier books, you won't be disappointed. The love story is tender & romantic but tinged with the grief & regrets of an earlier age. If you don't know Linda's books, what are you waiting for?! Click on the link to my teaser post above, & you'll find links to my reviews of Linda's books & to her website. 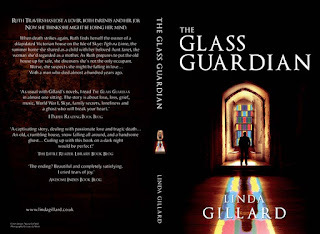 As usual with Linda's novels, I read The Glass Guardian in almost one sitting, I couldn't wait to find out what happened next. I was completely caught up in Ruth's journey. If you enjoy a love story with atmosphere, intelligent, multi-faceted characters & a touch of the supernatural, I think you'll enjoy The Glass Guardian. Past Three A Clock (picture from here) is another of my favourite Christmas carols. Although it sounds ancient, only the refrain & the tune is old. It was a waits song from the seventeenth century when men would call the hours in the streets. The carol is a 20th century composition by George Ratcliffe Wood. In the recordings I've heard, it's always sung by a male choir & the refrain is very addictive. It gets into my head & I find I'm humming it, walking, chopping or typing in time with it. I love the English homeliness of the words. Bringing cheese, butter & honey for Mary & the hinds searching for Jesus over the dewy lawn. If you don't know it, there's a performance here by Kings College Choir. Time it and chime it. Refrain. Laid in the manger. Refrain. Worship and greet him. Refrain. Likewise and bless him. Refrain. Is it sacrilegious to admit that I don't read Susan Hill's Simon Serailler novels for the murder plots anymore? Maybe it's because Hill has a long & distinguished career as a novelist rather than a genre novelist that I find the atmosphere of the cathedral city of Lafferton & especially the family dynamics of Simon & his family so much more absorbing than the mystery & the investigation. In the latest novel, A Question of Identity, I may have lost interest in the murder plot because I felt I knew who the murderer was from very early on & for once, I was right. One of the characters just never rang true from the moment they were introduced & I just knew that I'd found the murderer. I'd read Audrey's post at Books as Food & I can see that Audrey feels as I do. The family relationships have become more compelling. I don't see this as a reason to stop reading the series. After all, Simon is a policeman. If he abandoned his job & concentrated on his art, the books wouldn't be nearly as interesting. But then, I'm afraid I find Simon the least interesting member of the Serrailler family. I loved the early books when his mother was alive & I find the female characters so much more interesting than Simon & his tentative, tortured relationships. I suppose I should mention the detective plot at some point though. Elderly women living in sheltered accommodation are being murdered. The murderer has no trouble entering the houses, he doesn't sexually assault his victims or steal anything. He arranges the women in a chair facing a mirror & strangles them. Eventually a link is made to a similar series of murders that took place some years earlier. The novel opens with the court case that led to the acquittal of the suspect in these murders. Alan Keyes disappeared after the trial & was never heard of again. Police were sure he was guilty but his defence lawyers had been able to throw doubt on an eyewitness's testimony. Once the connection is made to this earlier case, Serrailler & his team are chasing a phantom. Keyes has been given a new identity & they have few clues to go on & get no help from the authorities. They set up an elaborate sting that helps them to find the killer. While all this is going on, life in the Serrailler family is as complicated as ever. Simon is in love with Rachel, who loves him in return but isn't free. Her husband is dying &, although he has given their relationship his blessing, she feels the guilt & strain of the situation. Simon's sister, Cat, is struggling to cope as a single parent after the death of her husband. Her teenage son, Sam, is uncommunicative & silent. Her daughter, Hannah, is excited about the possibility of acting in a film. Molly, a medical student who lives with the family & helps with the children, is struggling to cope with the events of the last book, The Betrayal of Trust, when her life was at risk. 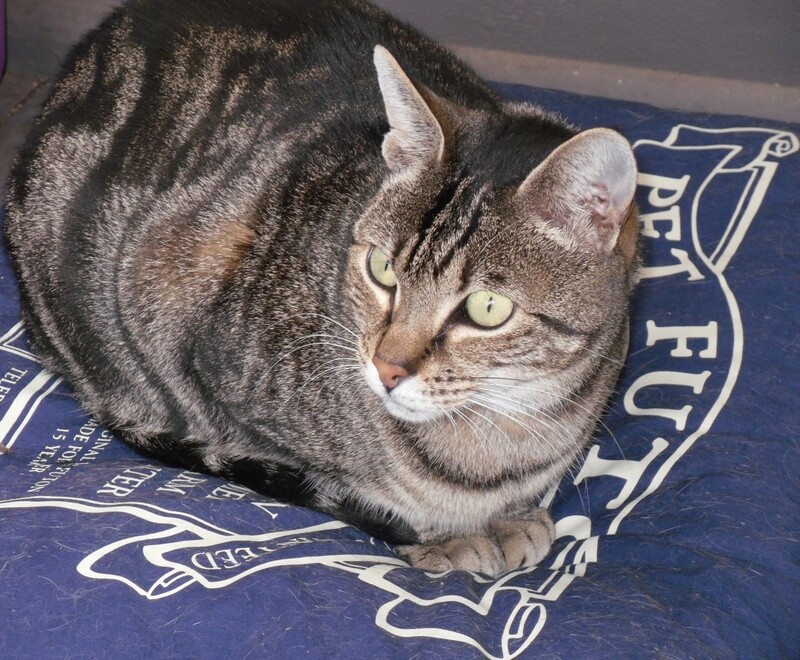 Cat is also concerned about the future of her work as a doctor at a local hospice. The financial future of the hospice is in doubt & Cat feels undermined by the Board as she tries to ensure that its valuable work can continue. Simon & Cat's father, Richard, has always been a taciturn, difficult man. His second wife, Judith, has made a difference to all their lives &, after some initial resentment, Simon has grown to love her. 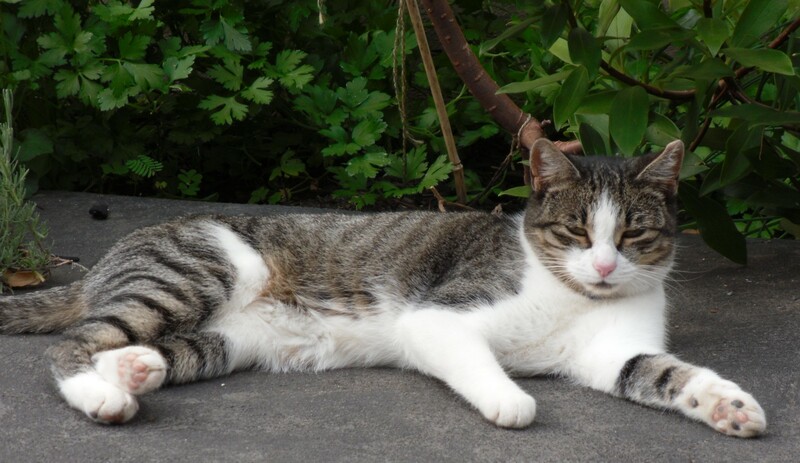 Richard & Judith's relationship appears very rocky & Judith's refusal to confide in Cat is another source of concern. All this family drama is fascinating & it's what kept me reading the novel. I'll look forward to Susan Hill's next Simon Serrailler novel for the continuation of the Serrailler family saga above all. Jenny Uglow is one of my favourite writers of non-fiction. She has a quiet, calm style that conjures up the world of her subjects. Her new book, The Pinecone, is the story of Sarah Losh, a woman of independent fortune who was an architect in an age when a woman was expected to be dedicated to hearth & home. The Losh family made their fortune in industry. Sarah's father, John, owned a factory making alkali to use in glass making. He & his partners discovered how to make alkali at a competitive price compared to European sources. This was the foundation of the wealth that allowed Sarah to follow her own course in an age when the traditional path of a young woman in the early 19th century involved marriage & family. Sarah's family lived in Wreay, near Carlisle in Cumbria. They were a politically radical family, acquainted with Wordsworth & Coleridge, religious dissenters with a strong social conscience. Sarah & her sister, Katharine, were very close. Neither married, although they spent their youth attending balls & receptions. Their brother, Joseph, was mentally disabled & so their father left his estate to his daughters equally. Sarah & Katherine were unusual because they were completely contented in each others company. Sarah loved reading & study & was an antiquarian with an intense interest in the past. The sisters travelled in Europe & Sarah was fascinated by the buildings of Italy & France, storing up ideas for her future work. They both took an interest in their estate workers & the local village. They played the role of Lady Bountiful but there was a real concern & genuine kindness in all they did. Theirs was a benevolent rule. When the local churchyard was full they gave an acre of their land as a cemetery for their own village, regardless of religious denomination. Sarah designed the chapel that was built there, adapting the plan of St Piran's oratory, a Cornish chapel that had recently been uncovered by archaeologists.This awareness & passion for the past informed all Sarah's building projects. She was also passionate about using local craftsmen & materials. Sarah's next project was much more sombre. Katharine died in 1835 & Sarah was overcome with grief. She designed a strange boxlike mausoleum, a place of quiet reflection. It's described as both a refuge & a cell & was described at the time as having Druidic influences. The statue on the cover of the book sits in the mausoleum. It shows Katharine looking down at a pinecone on her lap. The pinecone is one of the central motifs of Sarah's work. I had no idea of the complex symbolism of this object. It's an ancient symbol of regeneration & fertility. It was also an expression of the Fibonacci sequence, a mathematical pattern that describes the way the bracts of the pinecone are laid out. It's found everywhere in nature from the pattern on a snail's shell to the structure of DNA. Sarah was a mathematician & was fascinated by patterns & symbols. The building for which Sarah is now remembered is the extraordinary church she built at Wreay. The church is the embodiment of all her reading on early church architecture & religious history. It was also informed by the controversies in the Church of her own day. The Oxford Movement was endeavouring to bring the Church of England closer to its historical roots & antiquarians were rediscovering the beauties of Norman & Romanesque architecture. Sarah's design didn't copy any particular style, it was her own. Like a geologist demonstrating the strata of belief, she decorated the church with symbols that looked back to the earlier religions, myths and cults that lay buried beneath Christian imagery and ritual, as the wheat of Demeter and the grapes of Dionysus lay behind the bread and wine of the sacrament. She used the lotus, an early symbol of creation used by the Egyptians. There were cockerels, snakes & the tortoise, all symbols of Hindu stories & classical myth. And there were pinecones, a symbol that was used in ancient Assyria, Babylon, Egypt & Greece. Early visitors to the church were probably most surprised by the lack of Christian imagery. The building itself was simple but the interior decoration was very much Sarah's vision & completely individual. The design & building of Sarah's church is the heart of the book but there is so much else. The coming of the railways, the stories of Sarah's wider family & their adventures in India & during the Afghan Wars. Above all, it's the story of a remarkable woman who made the most of her opportunities to live a truly individual life. Sarah Losh lived her life in her own way & has left behind her church, a unique expression of her character. When she died in 1853, she was mourned by many. Trees were planted in her honour by the local weavers she'd helped in hard times & by the villagers who had benefited from her care. Oh Come, Oh Come, Emanuel is one of my favourite carols. I listen to Christmas carols for weeks before Christmas, I've always loved them, especially the older, medieval ones. This one always makes me think of angels (picture from here). The words are joyous but the tune is melancholy. I don't know all the words, but I just hum along & join in loudly on Rejoice! Rejoice! Whether it's in English or Latin, this is one of the tunes that stays in the mind long after the CD is back in its case. This is Rosy Thornton's first novel, published in 2006, & it has all the humour & romance that make her novels so much fun to read. 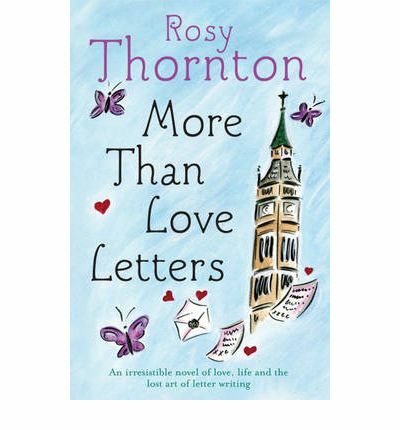 More than Love Letters is an epistolary novel, quite an unusual choice for a first novel in the 21st century. As well as letters, there are emails, newspaper articles, minutes of the meetings of WITCH (Women of Ipswich Together Combating Homelessness) & extracts from Hansard. The main correspondence is between Margaret Hayton, a 24 year old teacher & her MP, Richard Slater. Margaret writes to Richard about the VAT on sanitary towels, the missing zipwire at the local playground & the lack of bins for dog waste at the local park. Richard thinks she's a pest, an old woman with a fixation on dog faeces, & sends her form letters in reply. Richard is a discontented MP, out of favour because of his opposition to the Iraq War, & desperate to find some way back into the Leader's good books. His friend & fellow MP, Michael Carragan, is on hand to offer advice & a drink. Michael advises Richard to get himself in the news on an important issue. Once Richard meets Margaret at a Constituency surgery though, he suddenly decides that the tax on sanitary towels is the most important issue of the moment. Margaret is a passionate & socially minded young woman. She's just moved to Ipswich where she lodges with Cora whose husband works on an oil rig. Margaret immediately gets involved in WITCH, a collective running a women's refuge. She writes long emails to her best friend Becs, a teacher in the North who's working her way through the alphabet looking for the perfect man. Margaret also writes long letters to her Gran, who's recovering from a stroke & has trouble getting to the phone in time. Through Margaret's letters we meet the other members of WITCH. Alison, super-organised & competent; Pat & Pat, a lesbian couple who hope to be able to marry; Susan, Ding & Persephone. The women at the refuge are escaping from violent husbands & abusive fathers & the collective support the residents as well as previous residents who still need their help. Margaret & Richard's relationship begins with misconceptions & continues with some comic misunderstandings as well as many moments of real connection. Richard is immediately attracted to Margaret when they meet but she believes that his sudden interest in dog litter bins & children's playground equipment is a sign that he has a social conscience. Their correspondence with each other remains on a businesslike level while Margaret's emails to Becs & Richard's to Michael tell a more romantic story. Richard agrees to help Nasreen, an Albanian refugee seeking asylum who's staying at the refuge, & this is when his self-serving attempts to impress Margaret become more serious & he stops playing at being an MP & starts taking his job seriously. When Nasreen disappears, Margaret & Richard are drawn together in the search for her. There are parallels with Elizabeth Gaskell's novel, North & South, in More than Love Letters. Margaret shares the heroine's name & she's also the daughter of a vicar. Both Margarets have a social conscience & they have an influence on the social consciences of the men they love. Gaskell's novel is mentioned several times & Margaret is a lover of 19th century fiction, a love she shares with her grandmother. The warm, loving relationship between Margaret & her grandmother is very touching. Gran gives Margaret all the love that seems to be missing from her relationship with her parents, too busy with parish concerns. Margaret's kindness touches everyone, from her landlady, Cora, who plants a garden for the women's refuge & starts taking herbalism courses, to Helen, a young woman at the refuge who relies on Margaret for support. There are tragedies as well as humour in the book & the story is involving from the beginning. More than Love Letters is a romantic story with a serious undercurrent. A Condition of England novel for the 21st century as the novels of Elizabeth Gaskell were in the 19th. I love reading books about Christmas at this time of year. This year, I have three treats to read in a spare moment with a cup of coffee as three of my favourite contemporary writers have published short stories on a Christmas theme - & two of them are free. Katie Fforde's story, Staying Away at Christmas, is available as a digital-only story from Amazon. So, you'll need a Kindle or Kindle app to read it. 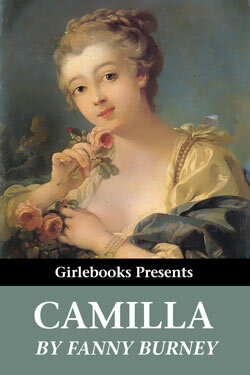 It costs $1.52US & includes the first chapter of her forthcoming book, A French Affair. Miranda is a single mother setting off to spend Christmas in Devon with her two daughters. Miranda is taking stroppy teenager Isa & young Lulu to the holiday cottage they'd loved in summer but will it have the same charm in the middle of winter? When they arrive, they discover that widower Anthony & his two children, Dan & Amy, have also arrived for Christmas thinking that they had booked the cottage. Anthony is aggressive & prickly & Miranda is anxious enough about Christmas without dealing with these complete strangers. Will Christmas be a disaster or a delight? Trisha Ashley & Elly Griffiths have given their fans a Christmas present with a free short story available through their websites. Both are PDF documents so you can read them online, print them off or download them to your e-reader (I did this with Calibre). Trisha's story is called A Christmas Wish & it's available here. 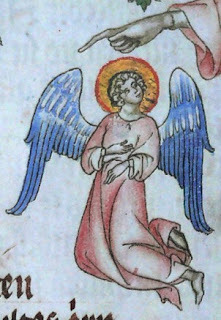 A young Chloe Lyon from Trisha's novel Christmas Wishes sees an angel. Trisha also includes some yummy Christmas recipes from her books as well as a few new ones. Elly's story, Ruth's First Christmas Tree, is available through the Quercus website. Just register here & you'll be sent a link to the story. Ruth is determined that her daughter Kate will have a proper, traditional Christmas, including a Christmas tree. Her plans don't quite work out but thanks to Cathbad & Nelson, Kate & Ruth have a Christmas to remember. I'm looking forward to reading Elly's new novel, A Dying Fall, when it's published early in the New Year. 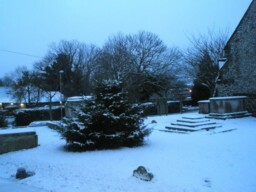 Christmas is almost upon us so my last poem by Thomas Hardy has a Christmas theme. It's not his best known Christmas poem, The Oxen, but one I hadn't read before I discovered it in my Selected Poems this week. In Yuletide in a Younger World, the speaker is looking back, with a melancholy eye, to Christmases past & remembering the wonder that Christmas used to bring. Now we have no such sight. -Can such ever have been? The subtitle of this book is Women's Lives in War and Peace & that's exactly what it encompasses. 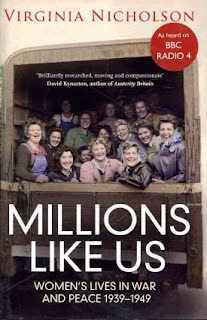 Millions Like Us tells the stories of many women & how they lived through WWII & the years afterwards. Nicholson focuses on about a dozen women who we get to know well during the course of the book, including writer Naomi Mitchison, housewife & diarist Nella Last, 17 year old junior housemaid Jean McFadyen & debutante Patience Chadwyck-Healey. Their lives are revealed through interviews, letters & diaries as well as memoirs they wrote in later life. The women worked in all the armed forces as ambulance drivers, nurses, clerks, telegraph operators & code breakers at Bletchley Park, at home & in all the theatres of war. There are women trying to run a home during the Blitz, helping others bombed out of their homes, working in the Land Army or Timber Corps or looking after evacuees. It would be impossible to tell even a fraction of the stories told so well in Millions Like Us & the voices of the women in the book are so important that I think it's better to let the women speak for themselves. These are just a few of the passages I marked as I read. With, on the whole, astounding good humor and an obedience remarkable in an effete democracy, they have accepted a new troglodyte existence in which there are few places of entertainment, no good radio programs, little war news and little to do after dark except stay in the cave...'So we'll go no more a-roving so late into the night' has taken on a significance that Byron never intended. When I went to work in the mornings you'd see piles of brick rubble, perhaps with an arm sticking out or a leg - I got so that blood, guts and what have you didn't have much effect on me. I knew a man who would go round with a basket collecting the bits, trying to put them together. He picked up somebody's head and the eyes were open; it nearly landed him in the loony bin. Not all the stories are as horrific. For many women, the war was an opportunity to get out of the rut that habit or class or their families had thrust them into. They were able to get an education, learn new skills & experience the excitement that responsibility & doing a worthwhile job can bring. For all the stories about young women being bullied in factories or forced to put up with the dirtiest jobs an irate farmer could devise, there are other stories about friendships & romances that changed their lives. We found out that we had a couple of beautiful singers; and there was one girl who was very adept with poetry recitations, and could make people laugh. And I had been in a tap dancing troupe for five or six years when I was younger... We didn't go to bed till about two in the morning because of people enjoying themselves. And on Saturday mornings you'd get up and think 'Och, we've got to lift manure.' Well, we could hardly lift the fork, never mind the fork with the manure on it! The end of the war brought joy & relief. Marguerite Patten had been a domestic science demonstrator during the war & went on to become a well-known cookery writer. She remembers her joy when the war ended. Victory! We couldn't, couldn't believe it really had come. It was wonderful... The sheer joyousness of that day! I kissed more people that day than I kissed in my entire life. We danced and we sang... and of course we all got as near to Buckingham Palace as we possibly could. You can't exaggerate the joy of that day. And we could go home in the dark and not worry about an air raid! And people could leave their curtains undrawn!~No, the feeling of joy on that day was something to remember the whole of your life. The end of the war didn't bring joy to everyone. It was hard to celebrate when your husband or son wasn't coming home. When the troops were demobilised & the prisoners of war were released, the men who came home had changed & the women they came back to had changed as well. Many marriages foundered & divorce rates increased. Many young women had become engaged to American GIs & set off to a whole new life in another country. Others had to leave jobs that they had enjoyed because the work was no longer there or the job was reserved for a returned serviceman. The stress of adjustment to peace was severe. Especially as life didn't automatically change for the better. Rationing didn't end with the war & shortages of food, clothing, housing all made life difficult without the feeling of necessary sacrifice that came with the war effort. The final chapters of Millions Like Us are quite sober. News of the concentration camps & the dropping of the nuclear bombs on Japan shocked everyone. The new post-war world would take some getting used to. Millions Like Us is an absorbing book. Virginia Nicholson has done an excellent job of describing the war experiences of so many different women yet by the end of the book, the reader feels that we know them all intimately. The personal interviews are especially important as the generation who lived through WWII begins to disappear. It's all the more crucial that their experiences are not forgotten. What to read next? So many lovely books have come into the house in recent weeks that I'm having a hard time deciding what to read first. I spent last weekend reading Millions Like Us by Virginia Nicholson, one of the books I didn't get to last year & wanted to read before the end of this year. I loved it & I'll be reviewing it soon. Another of the books on that list was Georgette Heyer by Jennifer Kloester but after reading Captive Reader's review, I'm not sure I'm in the mood when there are so many other books clamouring for my attention. 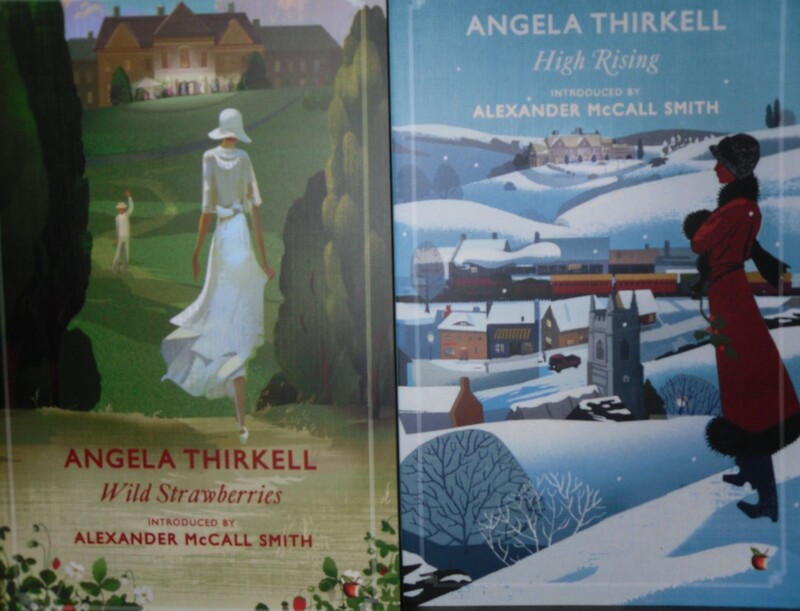 My copies of the beautiful Virago reprints of High Rising & Wild Strawberries have arrived. 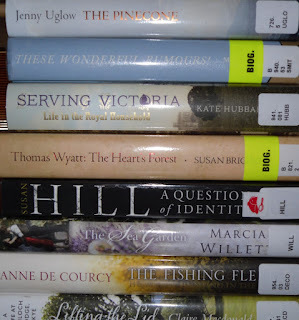 Then, there's this pile of new books from the library. 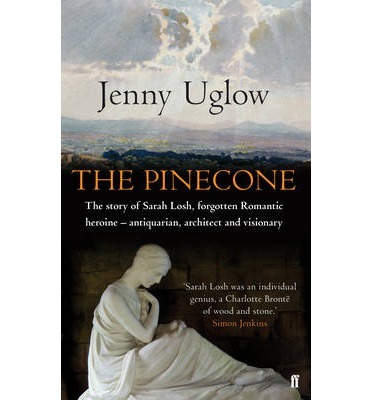 The Pinecone by Jenny Uglow, about Sarah Losh, a remarkable woman who was an antiquarian & architect in a period when a woman wasn't supposed to be either. These Wonderful Rumours! by May Smith, the diary of a schoolteacher during WWII. Serving Victoria by Kate Hubbard, life with Queen Victoria by members of her household including doctors & ladies-in-waiting. Thomas Wyatt : the Heart's Forest by Susan Brigden. Wyatt is one of my favourite poets & I'm interested in Brigden's interpretation of his melancholy life. 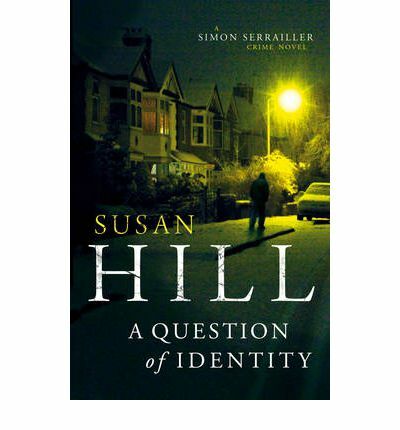 A Question of Identity by Susan Hill is the new Simon Serrailler mystery. I always look forward to this series & I can't wait to see how Simon deals with his new love affair. The Sea Garden by Marcia Willett. One of my most anticipated comfort reads each year is a new novel by Marcia Willett. Set in Devon or Cornwall, her books are always full of atmosphere & family drama. The Fishing Fleet by Anne De Courcy, about the young women who went out toi India in search of husbands in the days of the Raj. Lifting the Lid by Claire Macdonald is the story of the author's life at Kinloch Lodge on Skye. Macdonald may be better known in the UK but I hadn't heard of her. The book is the story of how she & her husband created the Kinloch Lodge Hotel, brought up their family & became a well-known cookery writer. 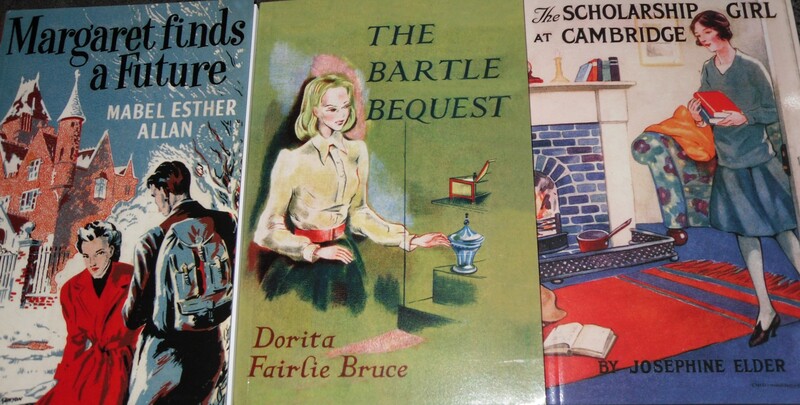 I've known about Girls Gone By, the publisher specializing in reprinting classic girls school stories, for ages but hadn't bought anything until recently. I didn't read school stories (except Enid Blyton's Naughtiest Girl series) or books about pony-mad little girls when I was a child so I'm not interested in reading them now. However, I discovered these books on their list about young women & couldn't resist buying them. 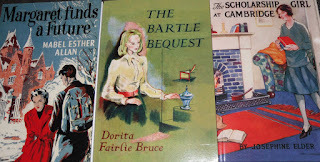 Margaret Finds a Future by Mabel Esther Allan, The Bartle Bequest by Dorita Fairlie Bruce & The Scholarship Girl at Cambridge by Josephine Elder. 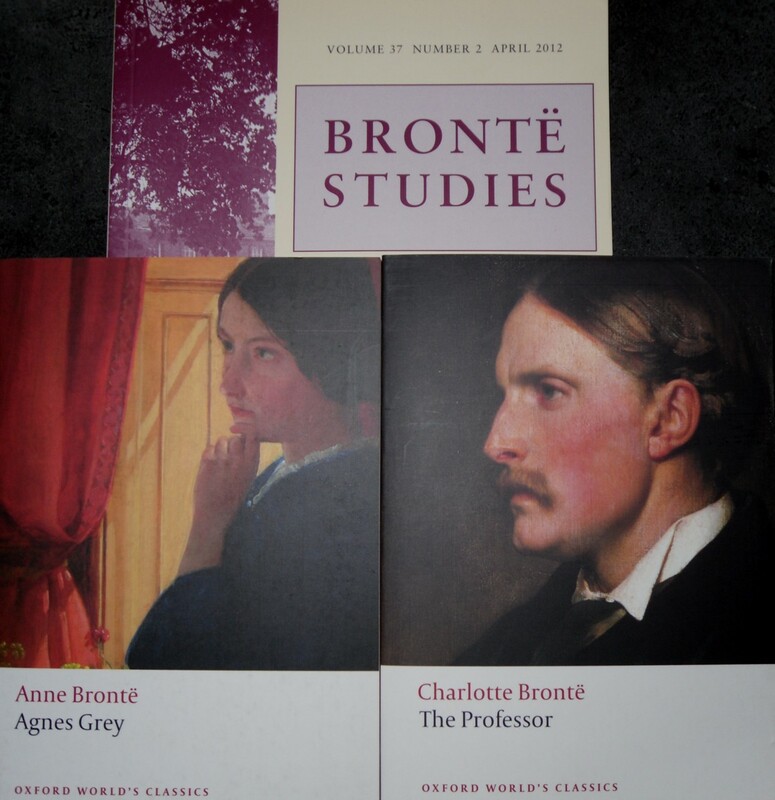 The new edition of Brontë Studies will be arriving any day now &, having seen the Table of Contents & noticing that many of the articles are about Anne's Agnes Grey & Charlotte's The Professor, I feel that I should reread both before I read the articles to refresh my memory. It's been years since I read either of them. I've also been tempted by Dani's plan to read Fanny Burney's Camilla & I've decided to read along. I've downloaded the free copy from Girlebooks but I've also borrowed the OUP edition from work so I can read the notes. My next book should probably be one of the library books as I know I can't renew some of them. It's a difficult decision & I think a cup of tea & some soothing music (I'm listening to lots of Christmas carols & choirs at the moment) will be needed to help me get there. This is a late poem by Hardy, written in 1927. The speaker is looking back to a time when he still had the energy to climb a hill to look at the moon rise. It's melancholy but with a touch of humour at the disadvantages of age. Now we do not go there. Why? Zest burns not so high! Feet once quick are slow!